The One-day Subway Pass lets you ride both subway lines as many times as you like in one day. Holders are entitled to discounts at certain facilities. 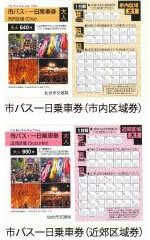 ※These tickets are only available from automatic ticket vending machines. Only valid on the day of purchase. ※Advance purchases and block purchases are available from station office. There are two types of One-day City Bus Passes, the inner city pass and the suburban area pass. 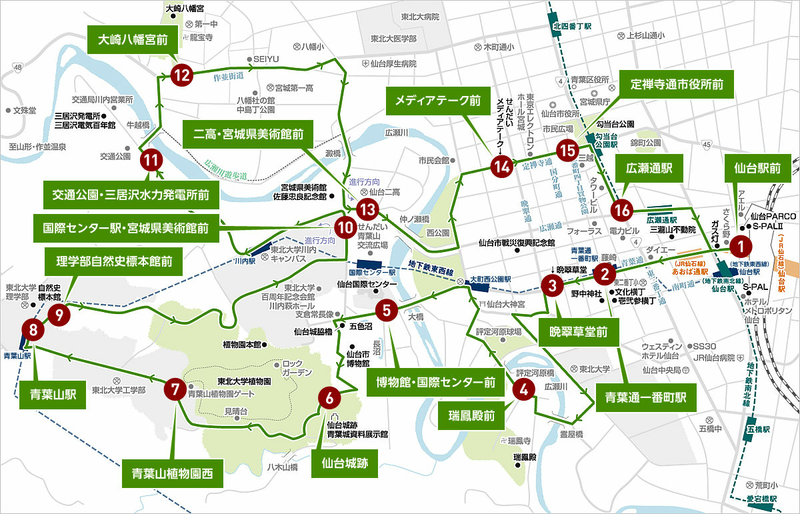 These passes allow you ride as often as you like for one day within the applicable zones (this does not include Loople Sendai or Rakuten Shuttle Bus Services). One-day passes cannot be purchased on board the buses, so please purchase these passes at a ticket counter in advance. ・The day of use is scratched off on the back of the card. ・When boarding the bus, take a numbered ticket from the ticket dispenser on the right side of the door. When getting off the bus, insert the numbered ticket into the fare box and show your one-day pass to the driver. ・One-day pass holders can also receive discounts at certain facilities. This is a discount ticket for groups of 25 people or more who share the same purpose and journey. In cases of student groups, passengers must meet the conditions for sale of student commuter passes and persons accompanying them (including teachers and tour guides) are eligible. Purchase by filling in a Group Ticket Application Form at the ticket counter. Tickets can be purchased up to 30 days before the day of use. Amounts less than 10 yen are rounded up. This is a discount ticket for groups of 10 people or more who share the same purpose and journey. Children aged from 1-5 years old are not counted among group passengers. Those passengers who are entitled to free fare or a separate discount are not included in groups. Purchase by filling in a Group Ticket Application Form at the Ticket Counter or Operations Office. Tickets can be purchased from 30 days before the day of use. Amounts less than 10 yen are rounded off. 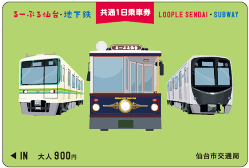 This ticket lets you ride Loople Sendai buses and the subway (Namboku Line and Tozai Line) as often as you like for one day. 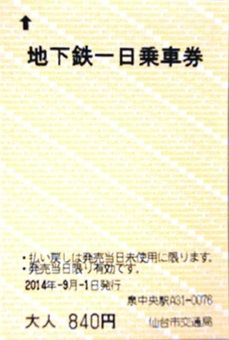 On the subway (Namboku and Tozai Lines), insert the Day Pass directly into the automatic ticket gate. On Loople Sendai, show the back of the Day Pass to the driver. 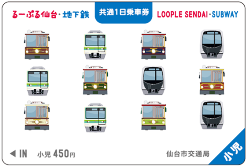 One-day Loople Sendai Pass is also on sale. ※Ride as much as you like on only the Loople Sendai.